Your home is the usually the biggest purchase you will make and is your most valuable asset. If you have any damage, you need a Texas insurance agent that will find the best company to fit your needs and settle your claims quickly. At Morgan Insurance Agency, LTD, we will help you find the right fit for your needs with providing quality service and affordable pricing. At Morgan Insurance Agency, LTD, we have the home insurance specialists that can tailor a specific package to your needs and risks. We have access to many top rated companies to find you the best fit at a fair price. We can quickly compare rates to ensure you don't have any gaps in coverage down the road. There may also be other coverages that you many want to consider in addition to your basic homeowners policy. These may include personal umbrella, automobile, flood, earthquake or jewelry insurance. Our agents at Morgan Insurance Agency, LTD can help you understand your other risks and help you evaluate whether you may need additional coverages in your Texas home insurance plan. 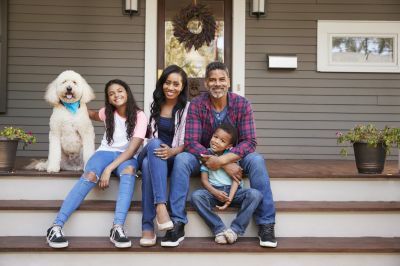 So, contact us today at 936-634-7755 to find out more about home insurance in Lufkin, Texas including the Beaumont, Houston, Jasper, Livingston, and Nacogdoches areas.